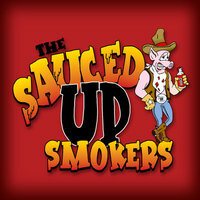 The Sauced Up Smokers are a competition team and catering company hailing from Carbondale, IL. After experimenting with a variety of commercial and homemade sauces, the guys from Sauced Up Smokers developed their own line of products formulated specifically for the competition circuit. Their sauces and signature rub (Ninja Dust) are now available to purchase. I reviewed Sauced Up Smoker's Roadhouse Series BBQ Sauce several months ago. The sweet, Kansas City style sauce earned high marks for flavor and appearance. The Sauced Up Smokers also developed a spicy cousin to Roadhouse that they appropriately named, Firehouse BBQ Sauce. Firehouse turns up the heat on the traditional Midwestern sauce with habaneros and cayenne pepper. The thick sauce is ketchup based and features plenty of sweetness thanks to the addition of brown sugar, honey and molasses. A Kansas City style sauce wouldn't be complete without liquid smoke. Sauced up smokers uses natural hickory flavor to balance out the sweet and spicy elements. The heat level will get your attention, but not blow your mind. When warmed, the sauce is tamed to a pleasant medium burn. It's a sneaky heat that tickles that back of your throat and keeps you coming back for more. I used Firehouse Sauce on smoked chicken and ribs. Each time, I warmed the sauce to bring out the full sweetness of the sugars and mellow the heat before brushing it on the meat. In addition to the exceptional flavor, Firehouse Sauce looks great when used as a finishing glaze. 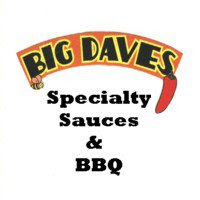 It's quite apparent that the sauce was developed for competition BBQ. The glossy, mahogany shine left on the ribs and poultry was certainly competition worthy. Sauced Up Smokers have developed sauces that embody Midwestern BBQ tradition. Their rich, full bodied flavors elevate their sauces above backyard good to competition good. As much as I enjoyed their signature Roadhouse Series Sauce, I think I liked Firehouse even more. If your palate tends to gravitate toward Kansas City style sauces with a spicy kick, add Firehouse Sauce to your "must taste" list. 0 Response to "Sauced Up Smokers Firehouse BBQ Sauce"